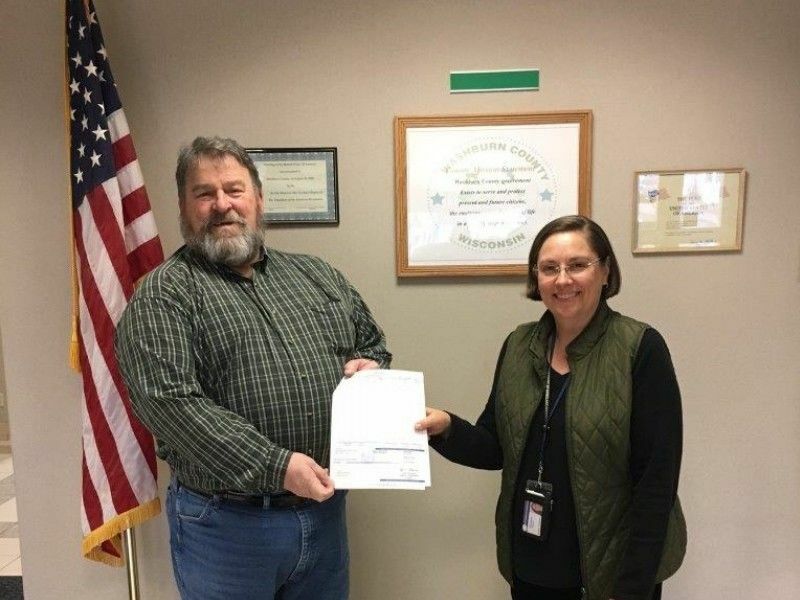 The Washburn County Emergency Management Office recently received a check in the amount of $7,792.30 from the Wisconsin Disaster Fund to reimburse a local unit of government for the damages they sustained from the severe storm event of 9/19/2018. The Town of Madge incurred and documented eligible recovery efforts totaling $11,131.86. The claim was submitted to the Wisconsin Disaster Fund. The Wisconsin Disaster Fund will reimburse 70 percent of the eligible costs if funds are available. The Wisconsin Disaster Fund was created by order of the 2005 Wisconsin Act 269 and enacted April 5, 2006, to provide state disaster assistance to local government units. This assistance is for damages and costs incurred as a result of a major catastrophe when federal assistance is not available.